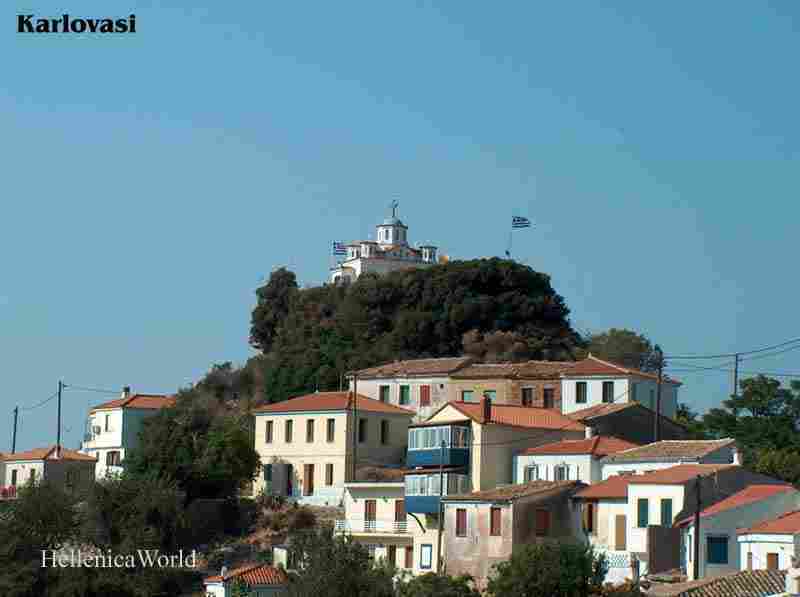 Karlovasi (Greek: Καρλόβασι) is a town and a former municipality on the island of Samos, North Aegean, Greece. 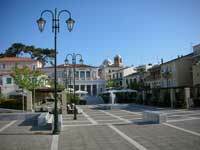 Since the 2011 local government reform it is part of the municipality Samos, of which it is a municipal unit. 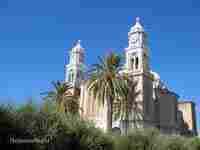 It is located on the northwest side of the island. According to the 2001 census, the population of the municipal unit was 9,590 inhabitants. Its land area is 100.330 km². 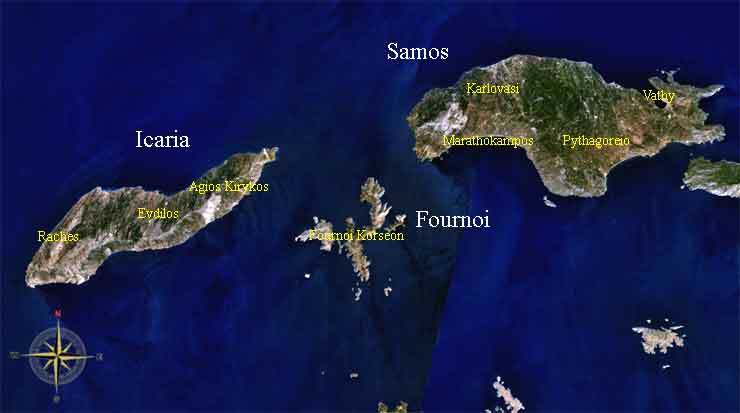 The municipal unit shares the island of Samos with the municipal units of Vathy, Pythagoreio, and Marathokampos. The University of the Aegean operates three departments (which form the School of Sciences) in the town: Mathematics, Department of Statistics and Acturial - Financial Mathematics , and Information and Communication Systems Engineering. There are about 2,037 students in this town. Karlovasi is a town with a rich history in culture and in commerce, being a flourishing tannery and tobacco manufacturing centre in the early 1900s. Many magnificent neoclassical mansions can be seen from that period as well as the remains of the large stone-built factories at the "Ormos" seaside. As a result of the "Capodistrias" unification program, the town of Karlovasi (pop. 5,740) was the administration centre for the nearby villages of Platanos, Drakeoi, Kastania, Leka, Nikoloudes, Konteika, Kontakeika, Ydroussa and Agioi Theodoroi.